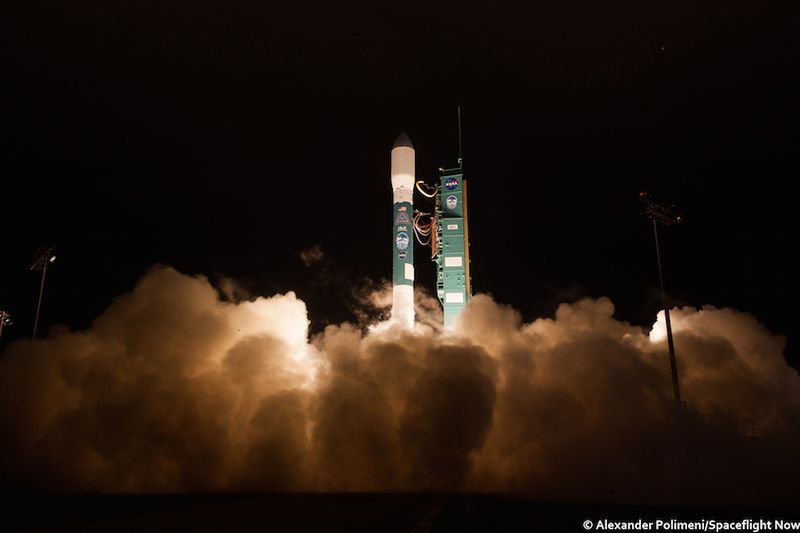 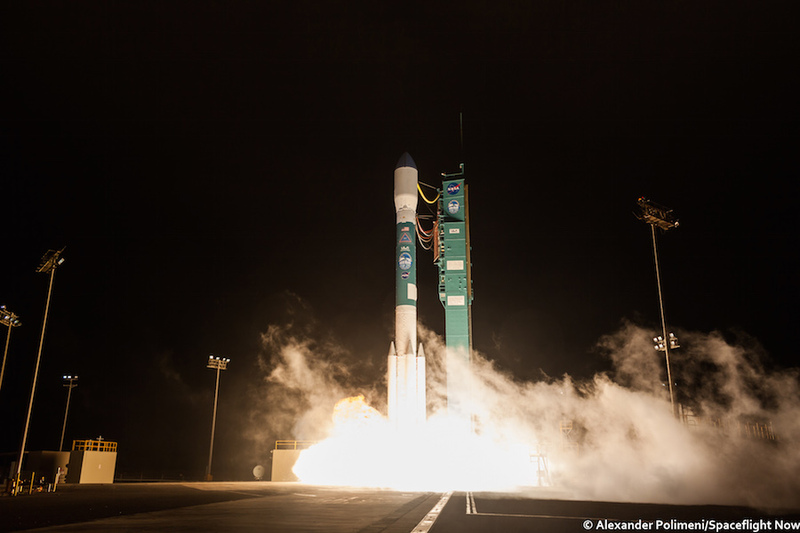 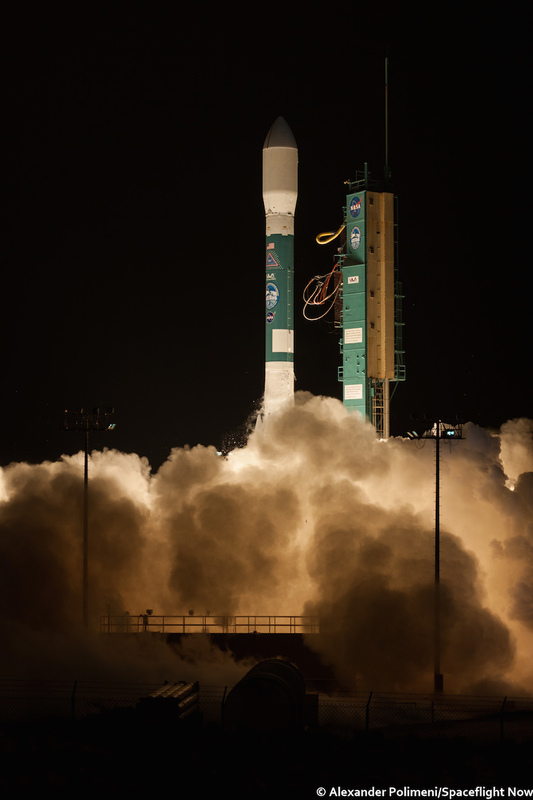 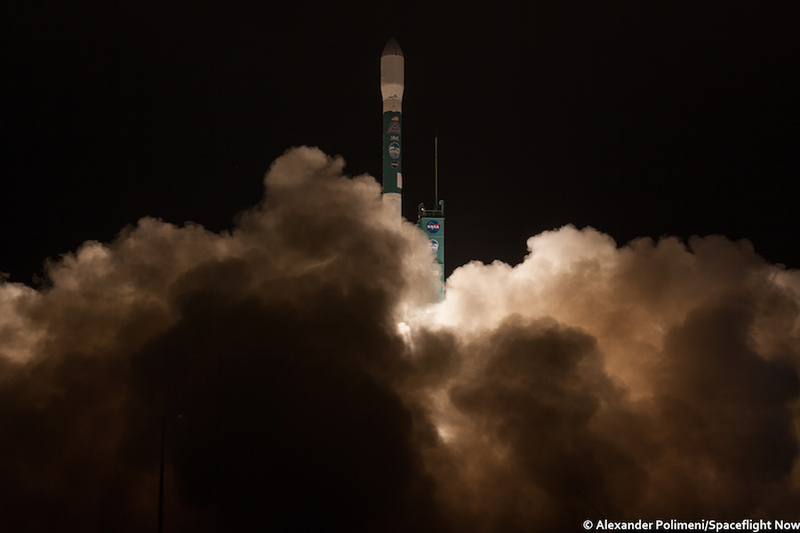 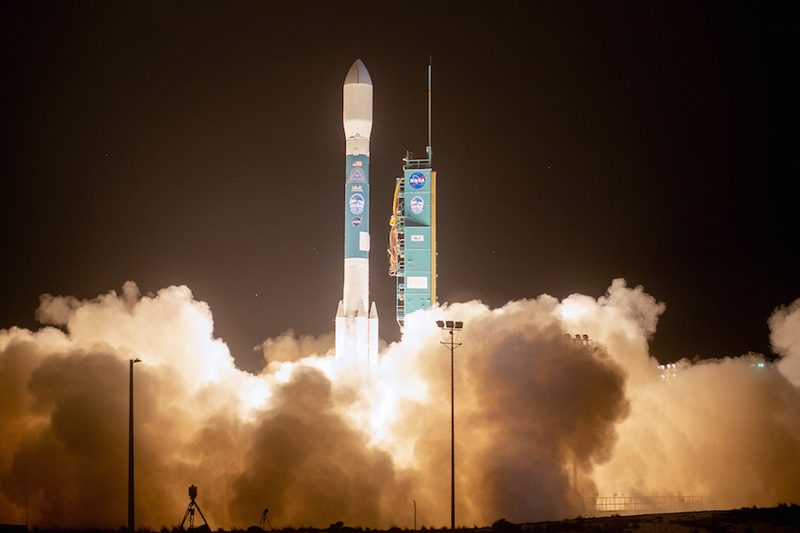 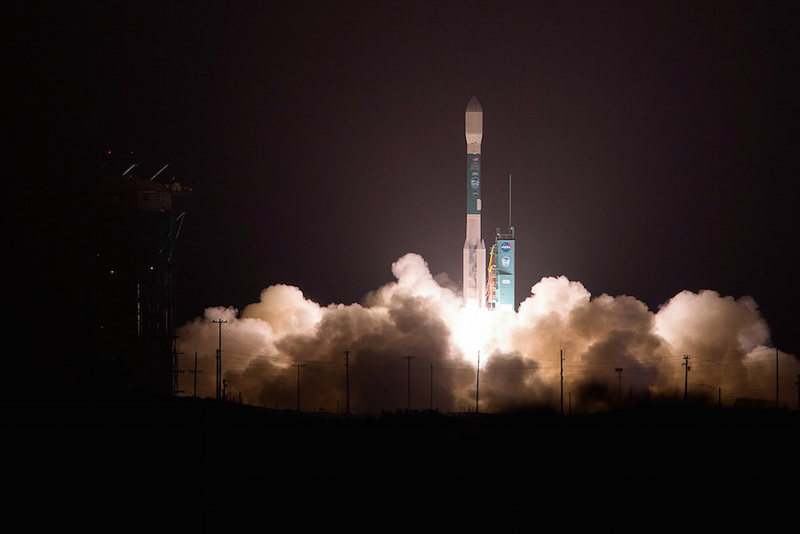 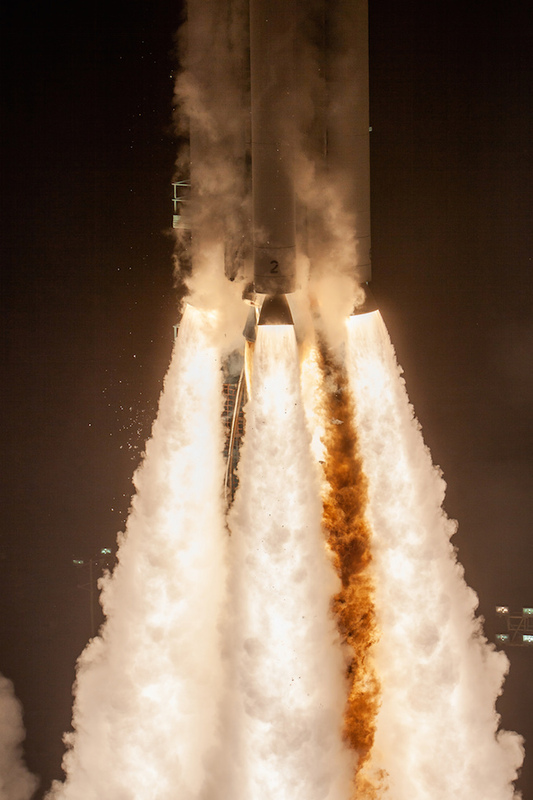 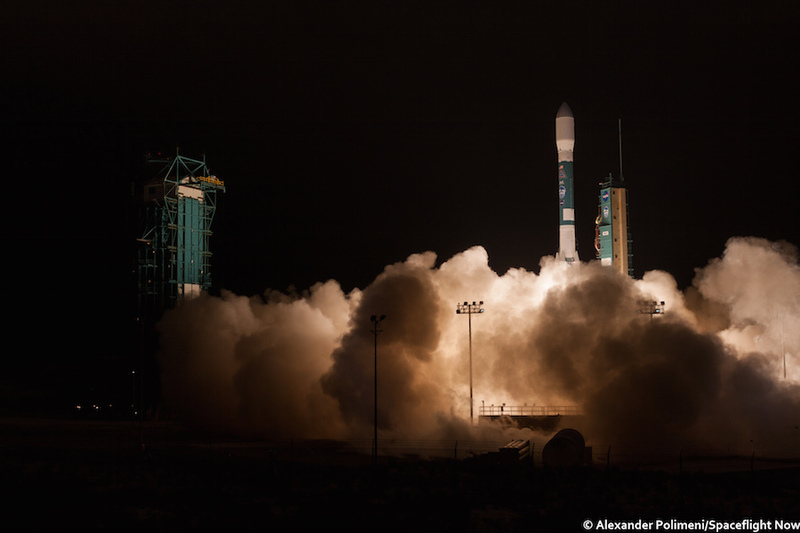 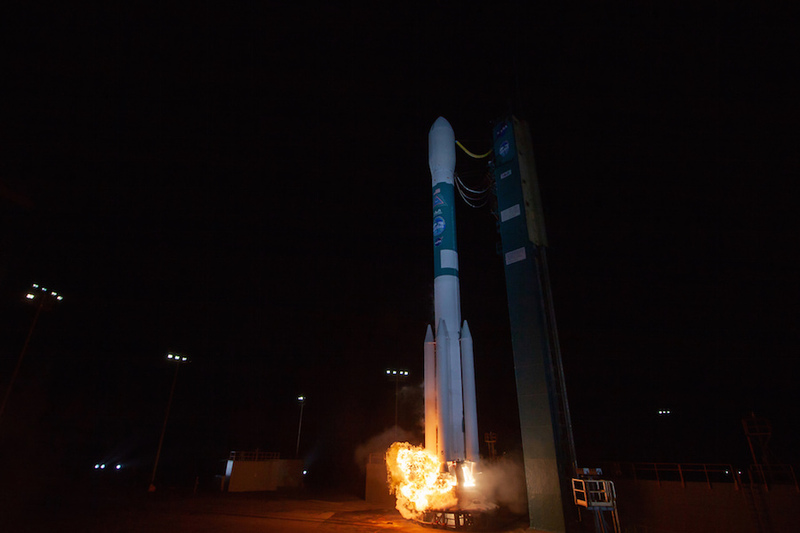 The 128-foot-tall (39-meter) Delta 2 rocket climbed away from Vandenberg Air Force Base in California at 6:02 a.m. PDT (9:02 a.m. EDT; 1302 GMT) on Sept. 15, riding around 650,000 pounds of thrust from a kerosene-fueled main engine and four solid rocket boosters. 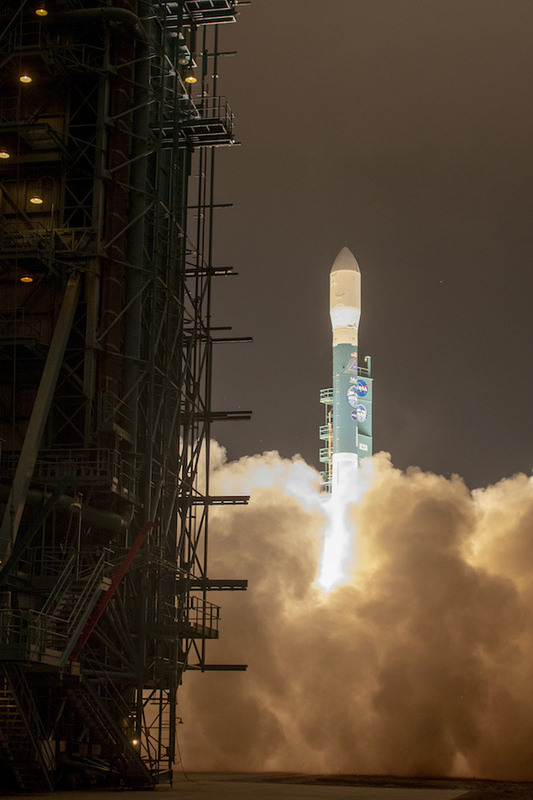 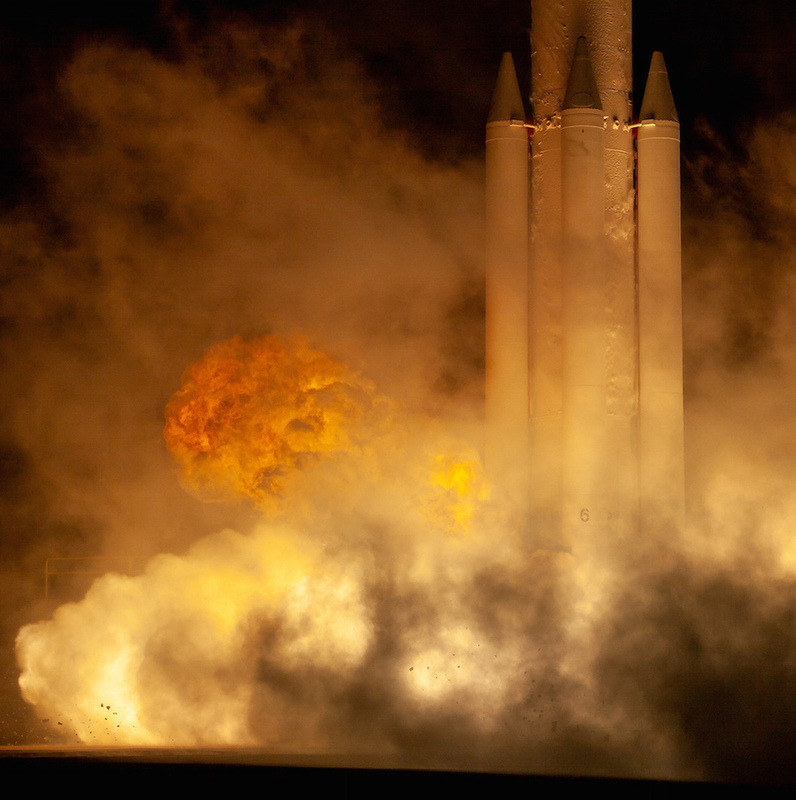 Within a few seconds, the Delta 2 disappeared into a low cloud bank hanging over the military-run spaceport on California’s Central Coast, leaving only a rumble in its wake as the rocket arced southward over the Pacific Ocean. 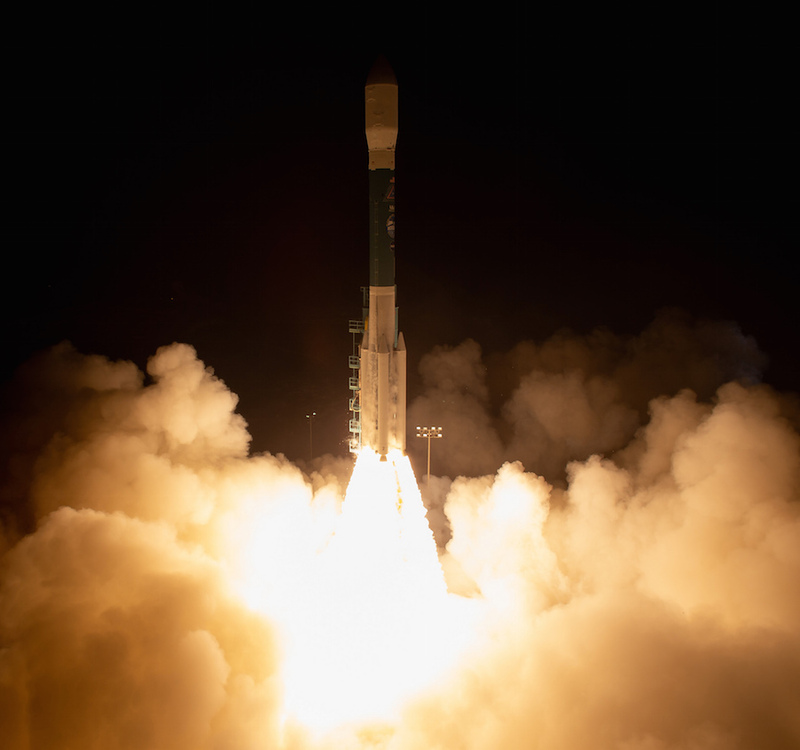 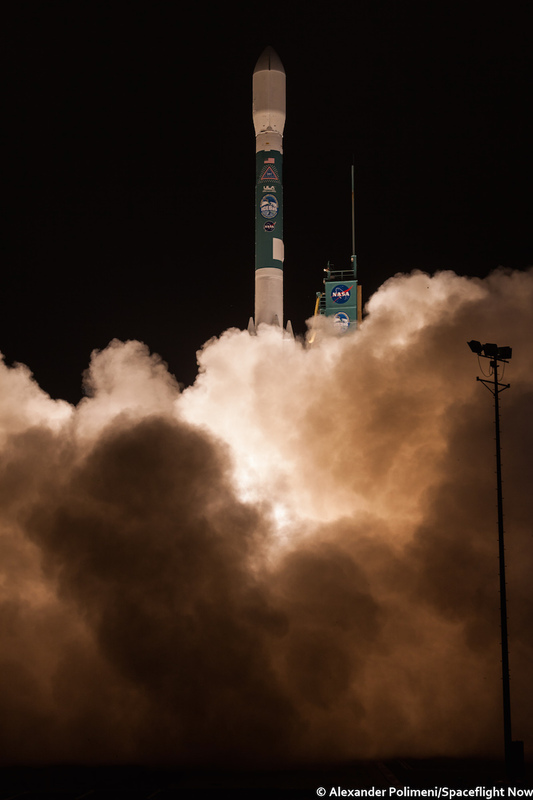 Less than an hour after liftoff, the Delta 2’s second stage released NASA’s ICESat 2 spacecraft in orbit nearly 300 miles (nearly 500 kilometers) above Earth, beginning a mission to measure changes in Earth’s land and sea ice using lasers. 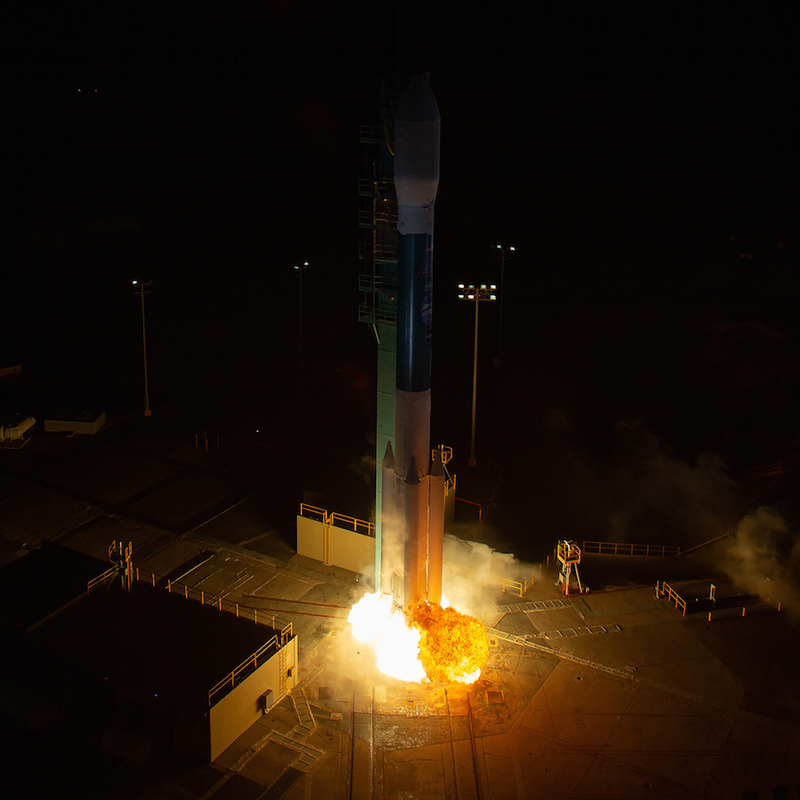 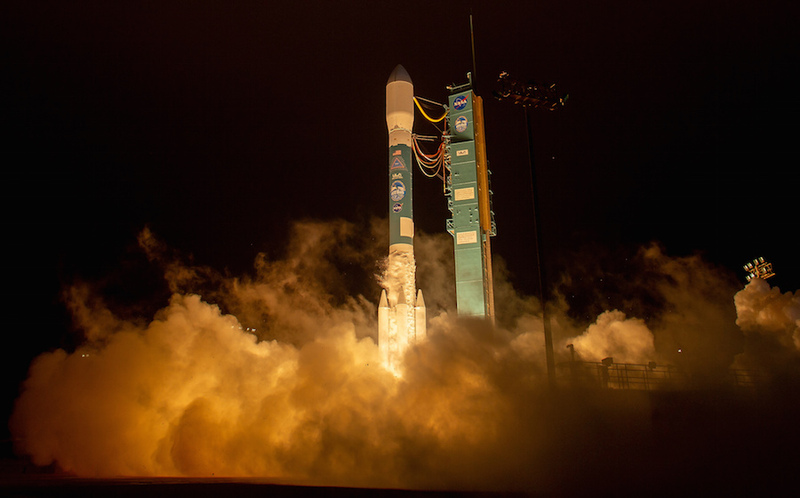 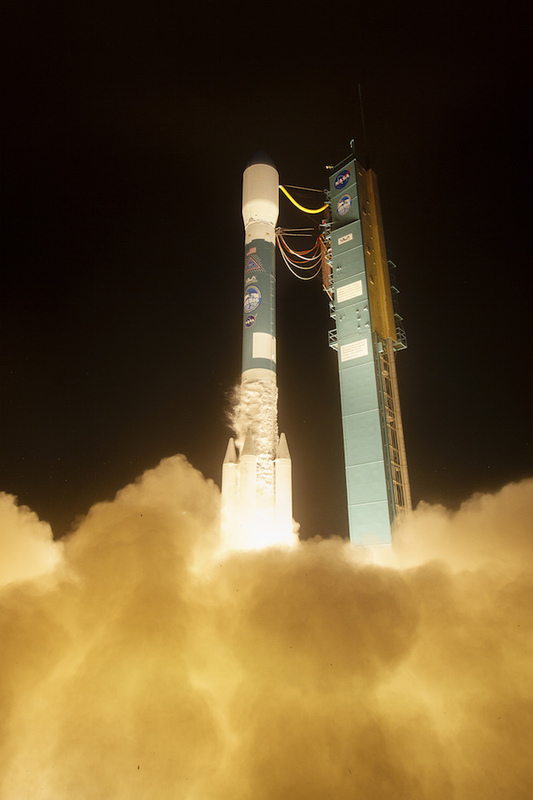 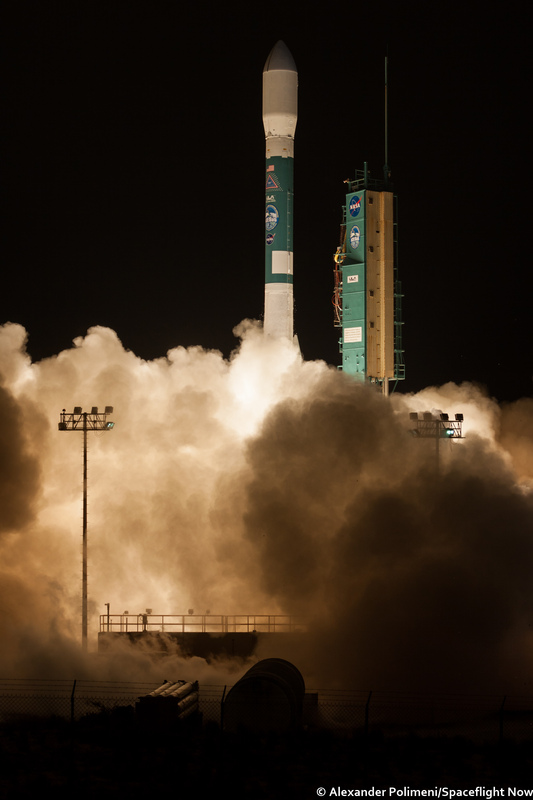 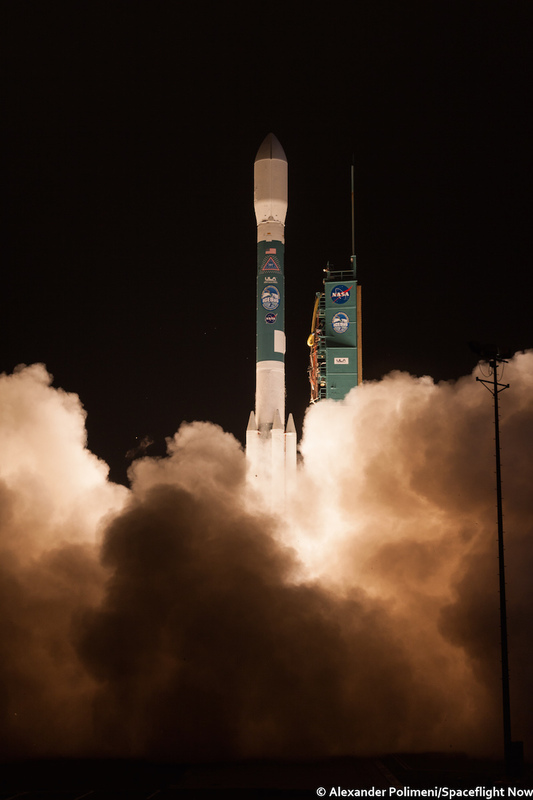 The launch was the last flight of a Delta 2 rocket, and its iconic “Delta Blue” paint scheme, ending a nearly 30-year run of rocket flights that carried 48 GPS navigation satellites into orbit, dispatched NASA probes to Mercury, Mars, the moon, asteroids and comets, and deployed numerous commercial and military payloads. 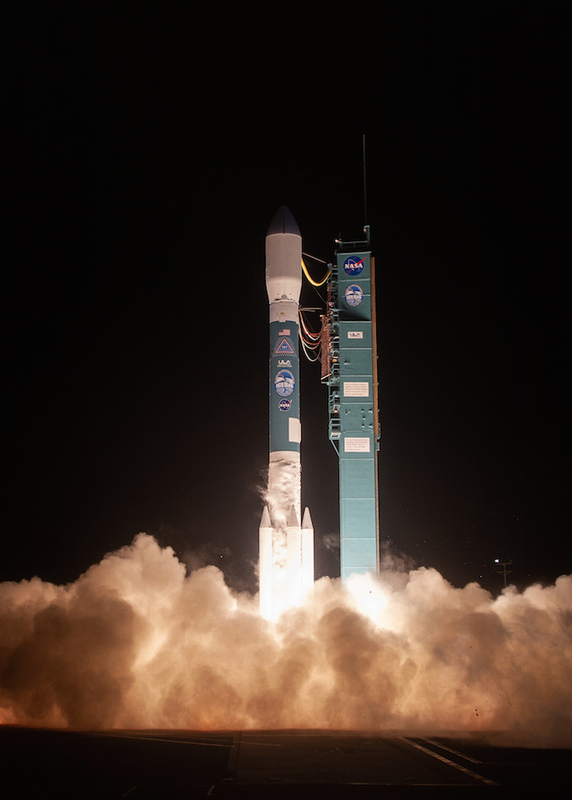 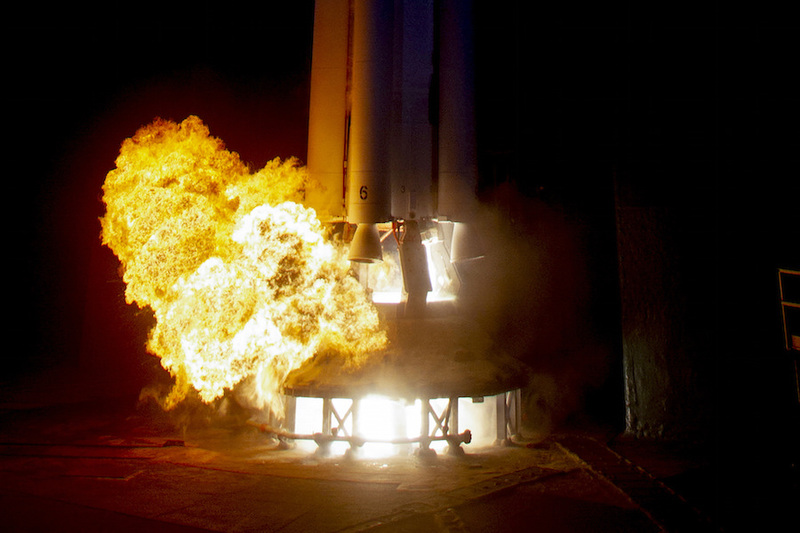 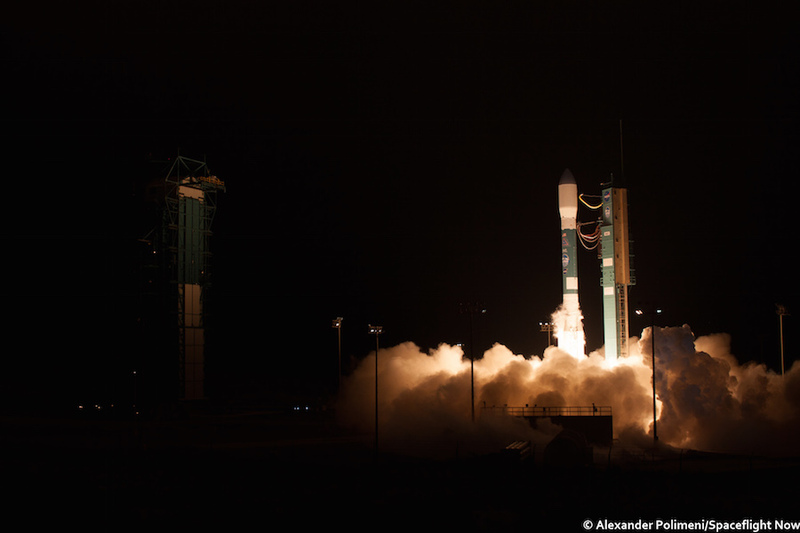 The photos posted below show the Delta 2’s liftoff from Space Launch Complex 2-West at Vandenberg, beginning with the fiery exhaust expelled from the rocket’s RS-27A main engine, followed moments later by ignition of the four strap-on solid rocket boosters.